Nigel Taylor worked at the Whitechapel Bell Foundry for forty years, from 1976 until it closed in 2017, managing all aspects of making, casting and tuning bells for the last twenty years. In this interview, Nigel explains why the foundry closed and twenty-five jobs were lost. 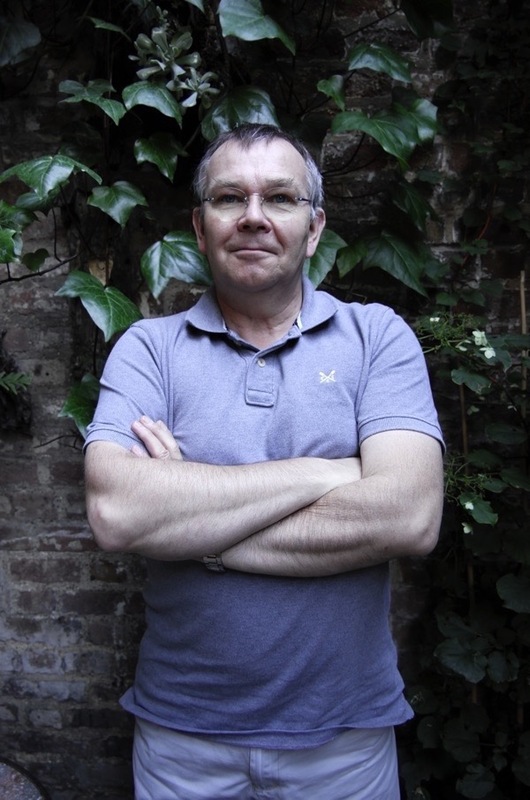 Yet as advisor to UK Historic Building Preservation Trust & Factum Arte‘s scheme to reopen the foundry, re-equipped for twenty-first century, he is confident it can have a viable and sustainable future. Below you can also read a statement by Dr Tristram Hunt, Director of the Victoria & Albert Museum who this week declared his support for scheme to re-open the foundry. If you have not yet submitted your objection to the proposal to redevelop the Whitechapel Bell Foundry into a bell-themed boutique hotel, instructions follow beneath. Perhaps no-one was better placed to bear to witness to the tale of the closure of the historic Whitechapel Bell Foundry – the world’s most famous foundry – than Nigel Taylor, who worked there for forty years and was the senior foundry man. At the time, we understood that the closure of the foundry was inevitable due to the decline in demand for church bells, but Nigel Taylor has a different story to tell. His is a sobering account which reveals that the shutting of the Whitechapel Bell Foundry was avoidable. Nigel asserts that it was a deliberate act by the bell founders who chose to sell up and sacrifice twenty-five jobs, rather than take action to modernise and ensure the survival of Britain’s oldest manufacturing business. Yet Nigel’s testimony also contains hope by asserting his belief that the foundry can have a viable future as a living foundry, rather than be ignominiously reduced to a bell-themed boutique hotel as has been proposed. Nigel has been consumed by the culture of bells since early childhood and he is a passionate spokesman for those who make bells, those who ring bells, and all those who love bells. “I am a Londoner, born in Hampstead. When I was a boy, my grandparents lived in Warwick, so as a small child I often heard the eight bells of St Nicholas. I was fascinated by the sound. I heard the sound of the bells of St Mary’s in Warwick as well. When I was five years old, I identified that they had ten bells not eight and they were a lower pitch. So my passion for bells was already there. When I was six, we moved to Oxfordshire and the bells at Chipping Norton had not been rung for many years but they were rehung by Taylors of Loughborough. A friend of mine said, ‘They’re trying the bells out tonight, let’s go and listen.’ They told us, ‘You can’t learn to ring until you’re eleven.’ So when we were eleven, we went along to ring and my friend is still ringing the bells in that tower. Once I started to ring bells, I never looked back. When I left school, I wrote to the Whitechapel Bell Foundry and asked, ‘Do you have any vacancies?’ I had an interview with Douglas Hughes – father of Alan Hughes the last bell founder – and he said, ‘We’ll start you off in the moulding shop.’ I had no experience. There were no college course in loam-moulding or anything like that. You could do an apprenticeship in an iron foundry in loam-moulding and some of the bell founders did that after they left school. But I learnt everything I know at the Whitechapel Bell Foundry. My feelings about it were quite mixed when I arrived in 1976. I had to get used to a lot of bad language which was not tolerated at school in those days. There were an interesting variety of characters, some ringers and some not. I started off making up the loam which is a mixture of sand, clay, horse manure and all the rest of it. I was the one that introduced Jeyes Fluid into the mix, just to kill off some of the bugs. Then I made moulding bricks, using loam, and dried them in the oven. They acted as packing between the moulding gauge or template and the cast iron flask, filling the space between them. Then I started making cores and, after the head moulder retired in 2003, I got to do the inscriptions. I did the lot and I was running the entire foundry production by that stage as Tower Bell Production Manager, managing the making of the bells, the casting of the bells and the tuning of the bells. I really liked doing the inscriptions. To begin with I made white metal copies of the inscriptions on old bells to transfer to the new ones when they were recast. Later, I made casts of inscriptions in resin and stamped them into the new mould while it was still damp. We also had various letter sets in different sizes, decorative lettering and stock friezes. We often put friezes on bells, at least one if not two or three. It was a very satisfying job, because a bell is likely to last for centuries. I used to put headphones on and listen to some music while I was working and I thought, ‘This is going to outlast me.’ I have lost count of how many bells I have made. I could count how many bells I have tuned because I have kept my notebooks, so I could go through and count them. It must be thousands. Just before the Whitechapel Bell Foundry shut, we had an order for some bells from Thailand which required a special stamp. So rather than make it the old fashioned way, I went to a 3D print shop in Canary Wharf and they printed the design for one fifth of the cost of how we did it before. It was a highly significant moment, three months before the foundry closed down. 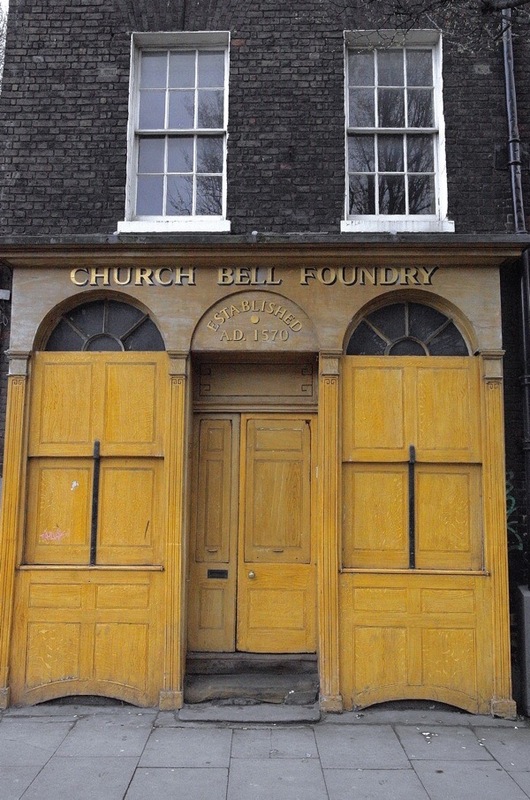 I want to see the Whitechapel Bell Foundry re-opened as a foundry. I believe it would be economically viable. The previous business could have been economically viable with the right kind of marketing and the right kind of management. I would like to see local people involved in foundry work, because there are no other buildings in this locality which are suitable for this purpose. I would like to see apprenticeships and training in all aspects of casting – pattern-making, moulding, fettling, machining, polishing and tuning. There are a whole range of different skills to be taught and there would be employment for those people. I would like to take an advisory role with regard to how best to make use of the building and set up the various workshops, and especially in the design and making of patterns for bells. The previous furnaces were oil-fired but my preference is for electric which would lower the emissions considerably. I am in favour of modernising the foundry for the twenty-first century. In the last few years, it became increasingly difficult to obtain traditional materials. Quarries which supplied sand were becoming landfill sites, so we struggled to find sand that was suitable to produce loam. If you discard that system and use resin-bonded sand instead, the strength of the mould is no longer reliant upon which quarry the sand comes from and you can have a much higher success rate with your castings. It is cleaner too. We used to have clouds of loam dust floating around everywhere – it was a dirty job. In the past, patterns were made of wood but now we can design the profile of a bell and digitally print the pattern in high-density polypropylene, which can be reused, making the process far cheaper. You can do it in one day instead of over a matter of weeks and you can make dozens of bells with one pattern that way. It is a huge difference. There was a dip in sales around 2012/3 as a result of government spending cuts. I think bell founders Alan & Kathryn Hughes misinterpreted this as a terminal decline in bell founding, so when the market picked up they were not ready for it. It was obvious to me that they needed a good marketing strategy, but I saw them carry on with their old policy regardless and the Whitechapel Bell Foundry began to decline rapidly while Britain’s other bell foundry, Taylors of Loughborough, picked up the lion’s share of the work due to aggressive marketing. The Hughes incurred debts in the region of £450,000 but they were thrown a lifeline by the offer of purchasing the building. By then, the building was worth money and the business was worth nothing. So they took the lifeline and foundry closed in 2017. In my estimation, Alan & Kathryn Hughes ran out of puff. They had two daughters who were not interested in the business. After three generations of ownership, it seemed the Hughes could only see it as a family business, so if no-one in the family was going to run it that was the end of business. That was certainly how it appeared to us, the staff, and it became apparent in the way the Hughes allowed the business to collapse. I knew the Whitechapel Bell Foundry needed to put in more competitive quotes and carry out free inspections for prospective jobs. We were the only firm in the business that charged for quotations. It cost us a lot of work. We needed to introduce proper marketing, concentrate on their products and skilled staff – not the fact that it was a family business which was the oldest manufacturing company in England. Customers cared more about whether we could do a good job and how much it was going to cost. The Hughes might have introduced some new directors to bring fresh ideas but their notion of a family business prevented that. So they did none of these things and twenty-five jobs were destroyed. I think the Hughes tried to block out their responsibility to their employees. I saw how Alan Hughes allowed circumstances to decline until they passed a point of no return. He once said to me, after he had announced that the foundry was going to close and we were all going to lose our jobs, he said ‘It’ll be quite interesting to dismantle it.’ It suggested he had formed a barrier to the emotions that must be inherent in anyone whose is going to close a business that has been in existence for over four hundred years. In my opinion, he closure was avoidable. With the right strategy, I believe the foundry could have survived, or they could have sold the building and the business when it was a going concern and walked away with a nice amount of money in the bank. But their actions revealed they could only contemplate it as a family business. At present, there is a lot of work about. The bell market and the art foundry market are both very buoyant and I believe the new proposal is perfectly viable. 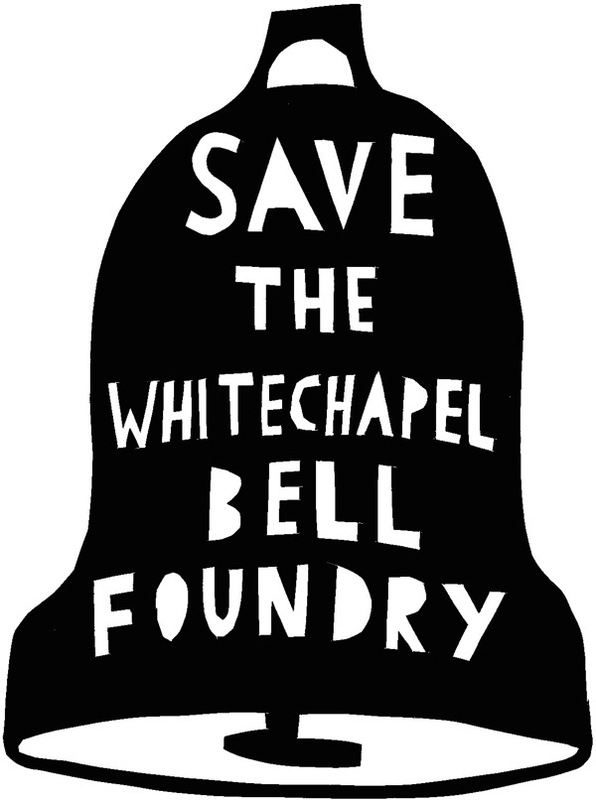 You can help save the Whitechapel Bell Foundry as a living foundry by submitting an objection to the boutique hotel proposal to Tower Hamlets council. Please take a moment this weekend to write your letter of objection. The more objections we can lodge the better, so please spread the word to your family and friends. Wishing London and England and all dedicated to this industry and the love of the sounds of bell ringing, every success. 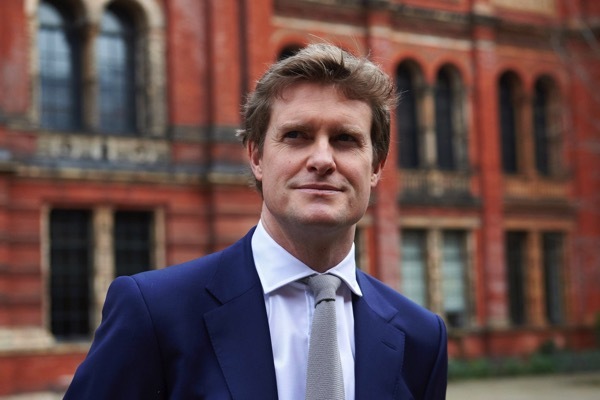 And brilliant that Dr Tristram Hunt and the V & A have shown their support for the campaign – hurrah! I hope someone will listen to Nigel Taylor before it’s too late and we lose the last chance to save the foundry . I have written to Tower Hamlets Council a letter in the same vein . I was not aware of all the issues he mentions but now it all makes sense. Thank you Gentle Author for bringing this to our attention! A sad tale from Nigel Taylor. I have written my letter of objection and hope that his story and the statement of support from Dr Tristram Hunt and the V&A will help save this much loved Foundry. Thank you Gentle Author for ‘rallying the troops’. So interesting hearing about the process from start to finish. What an inspirational man. I have sent my objection to Tower Hamlets Council. The very best of luck with this, I sent in a support for this last week – it saddens me to see local industry close (especially as there is a viable plan). I think craft and making is becoming less valuable. Thank you for sharing the interview, it is lovely to hear someone speak so well on bells, there was a lovely part in the laurel hardy movie where it seems a Cork church’s bells played the Laurel&Hardy theme as they came off the boat! The demise of the Whitechapel Bell Foundary is sadly a reflection of poor management and failure to invest and adapt . The resurrection of the foundary providing the continuation of important traditional skills is vital to enabling many conservation projects of the future. Once lost it will be costly to retrieve the skill base and restrictive for those of us having to specify good restoration procedures. Another really interesting article! I wrote my objection to the boutique hotel proposal after the previous GA article on the Bell Foundry. Excellent news that the V&A are on board and here’s hoping that Tower Hamlets Planning officers will make the right decision. Could the foundry actually become an adjunct of the V & A? Perhaps school classes/V&A visitors could see demonstrations that in turn might inspire youth, like the young Nigel, to learn more and ultimately work in the foundry? I look forward to reading that the Foundry has been saved–and that Nigel is back in that building! A very interesting article. Nigel’s words bring a sense of urgency to the importance of saving the Bell Foundry. It seems that a modernised foundry would be a much better use for the site, both culturally and in terms of skilled job prospects. Clearly the future of he Whitechapel Bell Foundry is a highly contentious issue, but the part that absolutely appals me is the role of Historic England (formerly English Heritage), the very body that is supposed to protect our heritage. The banner headline on the H.E. website declares “We protect, champion and save places that define who we are”. Surely then the preservation of the oldest bell foundry in the world and one of the oldest businesses in the UK that have produced bells of such historical significance to countries across the globe, would be a priority for Historic England, but no, they are quoted as saying “We welcome the heritage led approach” to Raycliff Capital’s plan. Historic England is a funded by H.M. Government via the Dept. of Culture, Media and Sport and is run by an executive committee. One of the executive positions is Director of Policy and Evidence, currently held by Ian Morrison who is “finding new ways to protect England’s historic environment and maximise its value to the public”. His biographical notes state that he is a former CEO of the Architectural Heritage Fund “where he successfully expanded the charity’s advice, grant and loans services to help meet the growing demand of enterprising communities wishing to repair and reuse historic buildings they value”. As one of Raycliff Capital’s challenge’s to the UKHBPT and Factum Arte plan is their lack of national funding, perhaps it is time Mr Morrison and his cohorts at Historic England started acting in the interests of the public rather than big business and “put their money where their mouth is”? As a Londoner and as someone whose family, the Olivers, worked at the Bellfoundry for generations I wish all the luck in world to those involved in his struggle. Thank you for bringing this to our attention. 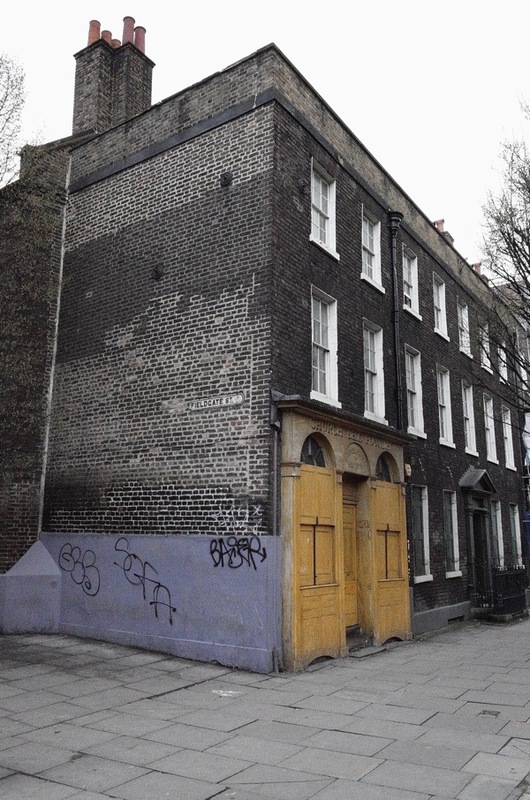 It is so important to retain such buildings and businesses as a vital reminder of historic London. How much more vibrant to have such a business in Whitechapel than yet another hotel. What a sad tale as to how the Foundry came to be closed. I have sent in my objection to the ridiculous hotel plan and hope that the Council will see fit to enable the Foundry to fire up again and continue its bell-making tradition. I always used to visit the foundry with each of my visits to London with my four children. The sheer history and significance of the foundry has to be saved… Surely the Church of England could also lend their support? I will write my objection this week. Such a tragedy if this were to be lost! I have been a bell ringer for 20 years and I think it would be a shame if Whitechapel was redeveloped. I did visit the foundry a few years ago and would be sorry to see it disappear for good. Thank you for this excellent piece. as though nothing would change! Just contemptuous, and I have of course objected. I lived and worked in London for 20 years and know the site. I was already aware of what happened to the firm through my local church which had used them in the past, but I was appalled to see the plans for the foundry, which until its closure was one of the last traditional businesses in the Whitechapel area after the demise of the local breweries some years ago. Reinstating the foundry business would provide full-time employment for future generations of professional workers using a mix of traditional and cutting edge modern skills: compare that with the jobs available in the average hotel. I have sent in my letter of objection.